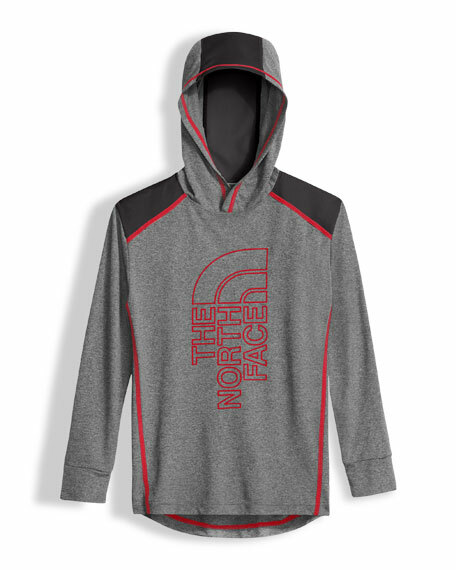 The North Face "Reactor" hoodie with vertical printed logo at front. Constructed of durable, lightweight FlashDry fabric. Colorblock trim at shoulders and hood. For in-store inquiries, use sku #2333584.